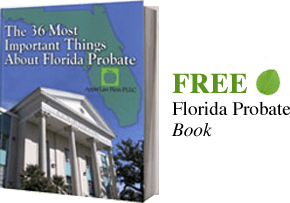 Jacksonville Asset Protection lawyers can help individuals and families in Jacksonville and Florida with their Florida Asset Protection needs. Our Jacksonville Asset Protection Attorneys and Florida Asset Protection Lawyers work with high net worth individuals and families and those in high risk activities. The best time to implement an asset protection technique is before there is a known claim. The closer to judgment the less effective a plan will be. With timely and professional asset protection a creditors claims and or collection of a judgment can be made difficult. This can increase your leverage and increase your ability to significantly reduce claims through settlement. It is important to realize that Asset protection does not include hiding of assets or protection from income tax liabilities. It is important to realize that Asset protection will not make you “judgment proof.” There is a difference in the ability to collect a judgment and obtaining one. It is important to being planning as soon as possible to prevent problems in the future. If you wait to long it may not be possible to protect your assets as well as if you started earlier. As you get closer to a judgment or if you know of a creditor the issue of fraudulent transfers and conveyances begins to become a factor in asset protection. You cannot give assets away to protect them from creditors. Many of the techniques that were previously used to protect assets from your spouse, IRS, or creditors through hidden accounts and trusts, no longer work.